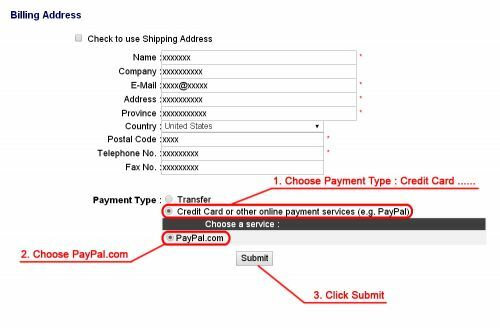 You can process orders and payments on our web page easily by PayPal. 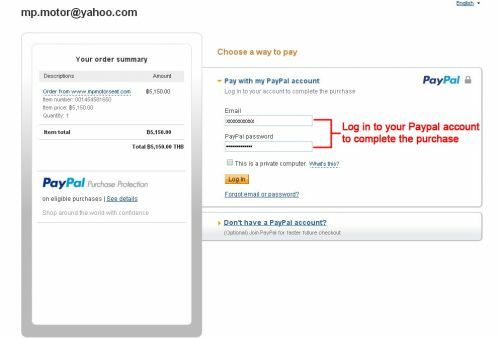 You can process orders and payments by Credit Card on our web page easily via PayPal's web page. 2.1 On "Your Shopping Cart Details" after you fill in all required information Shipping Address and Billing Address. 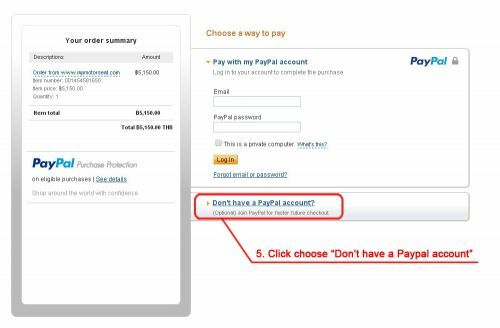 You click choose "Credit Card or other online payment services (e.g PayPal)". 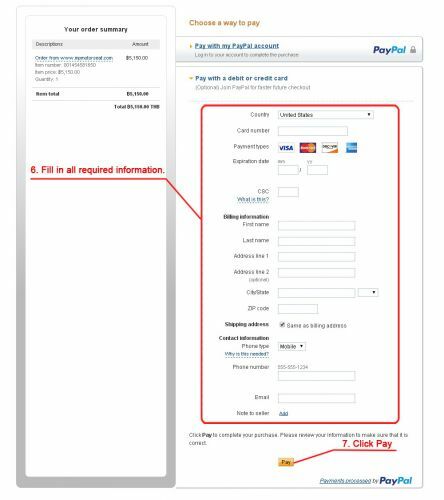 Then click choose "PayPal.com" and click "Submit". 2.2 After you click Submit, please double check your Shipping Address and Billing Address to confirm. If correct please click SELECT button. 2.3 After you click SELECT. 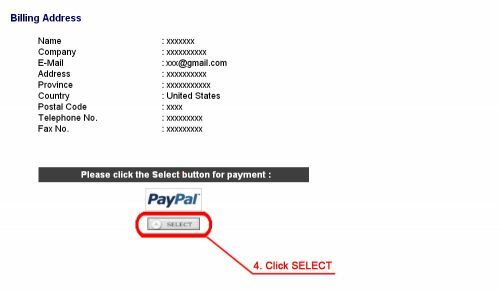 We will redirecting you to PayPal payment web page. You click on "Don't have a PayPal account" or "Pay with my debit or credit card"
2.4 Fill in all required information bout your Credit Card or Debit Card. And then click PAY button.